American consumers are expected to spend about $720 billion on holiday shopping this year, an annual increase of more than 4 percent, according to the National Retail Federation. Avid Black Friday shoppers hoping to get an early break on in-store sales might run into some holiday hurdles this year. That’s because a growing number of stores are deciding to close on Thanksgiving Day, reversing a trend that started to take hold about a decade ago as retailers sought to get a head start on one of the biggest shopping days of the year. A total of 76 national and regional companies will give their employees the day off Thursday, including five Seattle-area brands, according to a list compiled by the shopping-information website bestblackfriday.com. That compares with 69 businesses last year and 59 in 2016, when the website first started tracking the closures. Companies closing on Thanksgiving are expected to benefit from an online shopping boom that allows them to profit and keep their employees happy by giving them the day off. American consumers are expected to spend about $720 billion on holiday shopping this year, an annual increase of more than 4 percent, according to the National Retail Federation. The weekend before Christmas will attract the highest spending total, followed by Black Friday weekend. 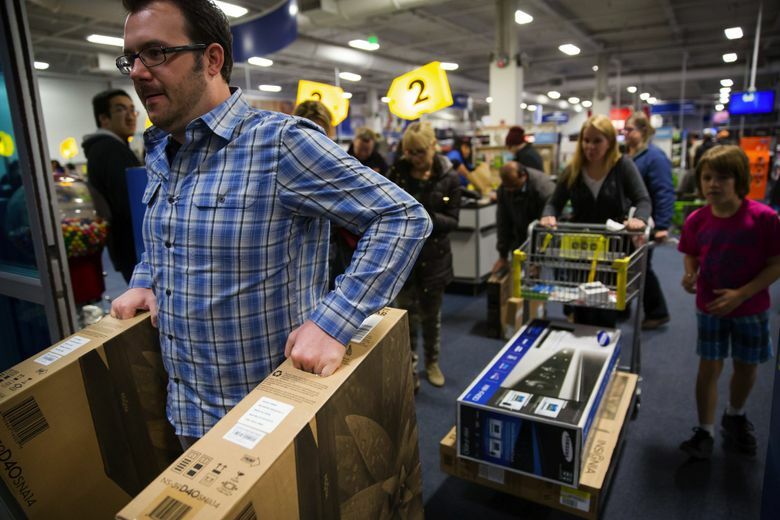 Still, some stores will remain open on Thanksgiving, including Walmart, Target and Best Buy. Best Buy chooses to open for Thanksgiving because it’s what their customers want, said Boua Xiong, a spokeswoman for Best Buy. “We have millions of customers so part of it is certainly demand, but people have made tradition of coming out to stores to shop,” she said, adding that customers had already began camping outside a Laredo, Texas, Best Buy. Locally, Costco, Sur La Table, Nordstrom, Outdoor Research and REI will close Thursday. The latter two are also closed for Black Friday. REI and Outdoor Research began opting out of Black Friday in 2015, instead encouraging their customers to go outside as part of a marketing campaign.